This book is currently $1.99 in the Kindle store! Hello friends, I'd like to introduce you to the book that I've been secretly obsessing over these last couple days. It's adult historical fiction, which I know might seem off-putting to some who have neatly filed "historical fiction" under B for "Boring" in their mental file cabinets, but trust me when I say that this book is amazing and even though it's written for adults, there is tons of cross-over appeal for YA readers, especially YA readers of darker fiction cast in the molds of Rebecca Schaeffer's NOT EVEN BONES and Kerri Maniscalo's STALKING JACK THE RIPPER. Our heroine, Cora Lee, was born in 19th century New York. By all accounts, this is a squalid, sordid time, but for Cora Lee, it's worse. Due to a genetic anomaly, she has two hearts. The doctor who delivers her into the world can't wait to acquire her tiny little corpse and puts in an offer then and there, but the family refuses. Frustrated, the doctor goes off and spews his drunken tale to all who will listen: stories of the half-Chinese girl with the two beating hearts who would make the perfect prize for a museum. Fast forward two decades later, and the girl who the doctor said had no way of surviving is in good health, two hearts and all. Knowing that people will kill her for the marvel of her body, she has decided to work in the same shady career that would see her dead: she is a resurrectionist, a procurer of corpses for curiosity and scientific interest. A glorified grave-robber, basically. She does her work in drag, under the name Jacob Lee, and is considered the best in the business along with her crew. One day she meets a man named Theodore Flint, who also seems to know a lot about the business, including the rumors floating around of a girl with two hearts. As the desire for freaks and geeks increases, some of those with curious medical afflictions begin to die under suspicious and morbid circumstances. And lest we, the readers, be too quick to pass over the dead, Kang writes of their deaths and last moments in the first person, to show their humanity in the way that their murderer(s) did not. As more and more people die, Cora Lee realizes that she's in grave danger, and that Theo, who she finds herself growing more attracted to by day, might pose the gravest threat of all. So I loved this book. I posted about NOT EVEN MONSTERS recently, which is basically the fantasy equivalent of this book, and it has the same "hunter becomes the hunted" concept. I think both authors did a good job discussing that uncomfortable but still highly relevant question: what is the price of a life? NOT EVEN MONSTERS is gorier than this book but neither is a picnic, and THE IMPOSSIBLE GIRL had some very dark moments, including a twist that made me raise my eyebrows the way STALKING JACK THE RIPPER did (although it's nowhere near as ridiculous). Twist aside, I thought this book was great. The research that went into it was obvious, and Cora is such a great heroine - I love it when heroines are strong and clever, but also allowed to be vulnerable and make mistakes. I even liked the romance, which I didn't expect to like at all. But then, doomed romance always has been my catnip. I'm honestly shocked that THE IMPOSSIBLE GIRL hasn't gotten more love. It was just shy of perfection and I can't wait to check out this author's other works. Looking for something a bit darker to read for the fall season? How about some grave robbing and human anomalies? The Impossible Girl by Lydia Kang just might be that book you are searching for then. A historical fiction tale with a bit of mystery this one is certainly fitting for the time of year. In 1830 Charlotte and her maid Leah were helping a young mother with the birth of her baby as the family wanted nothing to do with her or the out of wedlock child she carried. After the baby was born h Looking for something a bit darker to read for the fall season? How about some grave robbing and human anomalies? The Impossible Girl by Lydia Kang just might be that book you are searching for then. A historical fiction tale with a bit of mystery this one is certainly fitting for the time of year. In 1830 Charlotte and her maid Leah were helping a young mother with the birth of her baby as the family wanted nothing to do with her or the out of wedlock child she carried. After the baby was born however the mother suffered some complications so a doctor was called but it was too late to save her. While there the doctor examined the baby and found she was born with two hearts and suggested she become a specimen for testing in which Charlotte of course was immediately offended. By 1850 that baby had grown into a young woman named Cora who had come to know she had to remain hidden. Charlotte was now gone but she had done her best raising Cora by pretending until her teen years she had been a boy to hide from the rumors of the girl with two hearts. Now Cora has gone into the business of procuring corpses with anomalies to sell for medical studies to keep an inside eye on the business and whether or not anyone still believed the rumors of her own birth. The Impossible Girl had a bit of everything wrapped into it really. You get transported back to the mid 1800’s during a time when the medical field was full on learning how to treat patients and a time of the side show spectacles. There’s danger and murders which brings in action to the story, a splash of romance and the touch of just plain creepiness thinking of trolling the graves. Wrap all of it together with one tough as nails main character making her way in a man’s world as she dodges threats from all angles and this one definitely would be one I’d recommend checking out. "The girl with two hearts, too impossible to have truly been born." 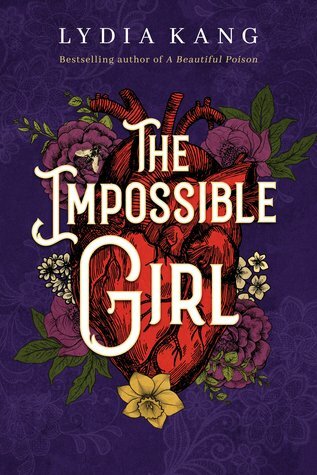 Set in the mid 1800's and written in third person, The Impossible Girl follows Cora, a resurrectionist, aka a grave robber, that "The girl with two hearts, too impossible to have truly been born." Set in the mid 1800's and written in third person, The Impossible Girl follows Cora, a resurrectionist, aka a grave robber, that procures bodies of people with medical anomalies and sells them to those that wish to study and/or profit from their demise. Cora herself being born with two hearts, is the most sought after anomaly of them all and thus her life is in danger from those wishing to profit from her death. I enjoyed this book very much. It is a very fast read with a story unlike anything I have ever come across. There is a separate chapter from the viewpoint of each of the deceased that Cora resurrects, giving an insight into their life and their death, which I think was a clever idea by the author. This story offers a twist reveal that is delicious and blindsiding. ⭐⭐⭐⭐ from me. I was surprised by this book. I tend to stay away from historical fiction as it's not my cup of tea, but this book has a premise that after reading the synopsis I couldn't resist. It's very easy to read and it offers a captivating story. I enjoyed how well the characters were written, and I especially enjoyed the story. The book gave me the impression that it was well-researched and planned to the smallest of details, as everything was coming together plot-wise. I do have a bit of an issue with t I was surprised by this book. I tend to stay away from historical fiction as it's not my cup of tea, but this book has a premise that after reading the synopsis I couldn't resist. It's very easy to read and it offers a captivating story. I enjoyed how well the characters were written, and I especially enjoyed the story. The book gave me the impression that it was well-researched and planned to the smallest of details, as everything was coming together plot-wise. I do have a bit of an issue with the writing: the pacing made a huge turn mid book, and I feel like there were some paragraphs that weren't crucial to the story, and they took away from my overall impression of it. But I do believe that fans of historical fiction will enjoy this book. This was a book that I was excited about when I got the pitch and then I kind of forgot about it until closer to the review date. I wasn’t entirely excited to read it when the time came to start it, but that slight was rectified almost immediately when I started this one. This book had a little bit of everything, romance, mystery, fantasy, and history. I loved this one almost from the first word! It made an excellent early fall/Halloween read. This book touched on some of the most interesting aspe This was a book that I was excited about when I got the pitch and then I kind of forgot about it until closer to the review date. I wasn’t entirely excited to read it when the time came to start it, but that slight was rectified almost immediately when I started this one. This book touched on some of the most interesting aspects of Victorian society. While this book is set in Manhattan, the English influence can still be seen in this book. The controversial busy and selling of dead bodies to science and medical students as well as grave robbing is predominantly featured in this book and I absolutely loved it! So I have a macabre curiosity? Yes, absolutely. But as a social historian I also love how resourceful people and students were. The whole body snatching industry was quite the operation and took quite a bit of ingenuity if you ask me. Not to mention this book explores quite a bit about the medical profession during that time and I absolutely loved that….beyond words! While I found many of the medical anomalies captivating as well as some of the moral ambiguity discussions, I was quickly diverted by all the interesting characters. I loved that there were feminist characters like Dr Blackwell, though I would have liked to have seen a little more of her. I easily loved Cora, as the protagonist she was perfect and interesting. As a resurrectionist, that should make her stand out, but for me it was her ethnicity that stood out. To me being a resurrectionist was just part of her job rather than who she was. I loved that she was a minority in a time when minorities weren’t widely trusted or accepted and that she wanted to be a doctor. She was memorable and I loved her. There are some paranormal elements to the story, but to me it wasn’t the focus. At the heart of this book, it’s a mystery. The mystery outshines the paranormal. It also features a good deal of forensics and I found that it captured my imagination and intrigue. This book took me by surprise and I was hooked from the first chapter. I loved it and read it in one weekend. I would highly recommend this book, especially in time for Halloween! And can I just say how in love with the cover I am? If that doesn’t say Victorian then I don’t know what does. That cover is perfect for this book and made me want to read it not to mention buy a hard copy for my bookshelf to display! Manhattan, 1850. Born out of wedlock to a wealthy socialite and a nameless immigrant, Cora Lee is born with two hearts. Now, her life is in danger and she must find the person who is killing people with strange anomalies and selling their bodies for a profit. Great gothic story. The writing flowed nicely and the story was interesting to read. Great imagery of 1800's medical practices and the murky city streets of New York. The rich locked their loved one's caskets and set guards but doctors treating patients kept folks like Cora informed as they all padded their pockets. Cora herself watches locals with strange afflictions and I absolutely loved Cora, who lives both as a young man named Jacob and as his sister Cora. She is a shrewd businesswoman with an extensive knowledge of medicine, anatomy and apporapthy. Kang gave us a delightful glimpse of New York, its immigrants, and the seedy side of medical advancements. The rich locked their loved one's caskets and set guards but doctors treating patients kept folks like Cora informed as they all padded their pockets. Cora herself watches locals with strange afflictions and waits their passing...but someone is killing off these people and their bodies are turning up at the university and museums. Between the mystery of the killings and the rumours circulating about a girl with two-hearts the storyline was intense with dark and sometimes gritty turns. What made this a five cups of coffee for me were the characters from those on Cora's gravedigger team too a young medical student named Flinn. I adored Flinn as able to see the real Cora. Lydia Kang - I love salt more than chocolate. I'm somewhat small, yet deceptively strong. Sort of like an ant.